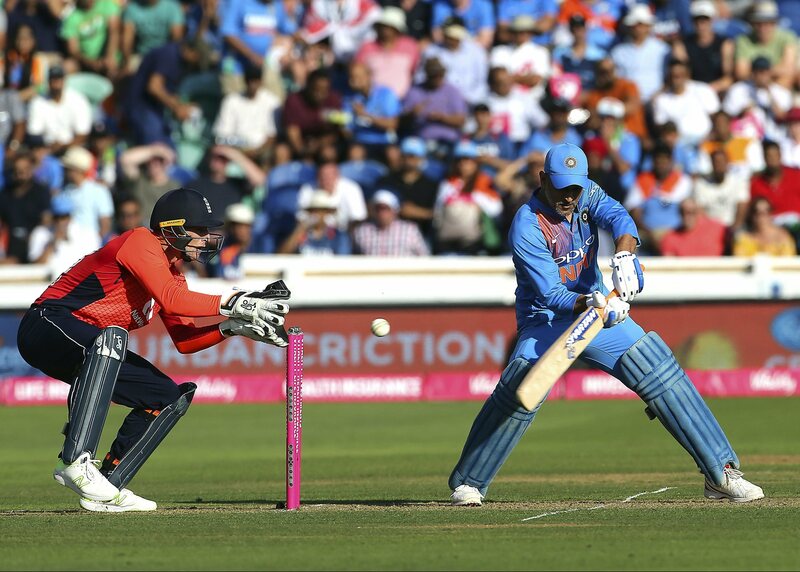 England beat India by five wickets in second T20 International at Cardiff , to level three-match series at 1-1. Chasing a target of 149 runs , England achieved the required runs for the loss of 5 wickets with two balls remaining. Hales scored 58 runs not out. Kuldeep Yadav took two wickets for India. Earlier, put in bat India made 148 runs for the loss of 5 wickets in the stipulated 20 overs. Skipper Virat Kohli top-scored with 47 while Suresh Raina made 27. Dhoni remained unbeaten on 32 off 24 balls with the help of five boundaries. For England Willey, Ball, Liam Plunkett and Rashid picked up a wicket each.